We rely on our tires to provide stability for our vehicles in all kinds of weather. Tires must bear the entire weight of a vehicle, and the safety of the vehicle’s passengers depends on tire quality. 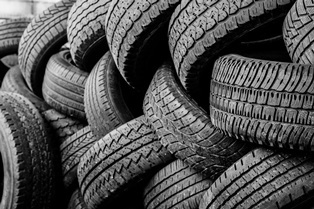 Unfortunately, tire defects are a common cause of Delaware car wrecks. When a tire fails, the consequences can be disastrous. Steering the vehicle can become almost impossible, and the car may even roll over. Tire manufacturers are obligated to ensure that the tires they produce are safe for the road, but they sometimes fail to do so. If defective tires have been the cause of a car wreck you were involved in, contact the experienced Wilmington, DE Car Crash Attorneys today. One of the primary causes of vehicle accidents involving defective tires is tread separation. Steel-belted radials are particularly susceptible to tread separation. When these tires are manufactured, the base portion of the tire is formed, steel belts are embedded in the tire, and then the tread is applied. If there is a problem in the manufacturing process, tread separation may be the result. Manufacturing problems that may cause tread separation include the use of rubber that is old and dried out, and failure to properly inspect the tires. Poor adhesion of tire components can also result in tread separation. Adhesion problems may be caused by contaminants such as grease or moisture, poor temperature control, or the use of old adhesives. When the tread separates from the tire body, a blowout is a typical result. The dramatic loss of tire pressure caused by a blowout frequently results in the driver losing control, and the vehicle turning sideways. When this happens, the bead of the tire can separate from the rim, and the vehicle is then at risk of turning over. The faster you are driving when a blowout occurs, the higher this risk becomes. Do You Need a Car Wreck Lawyer in Wilmington, Delaware? Tread separation and blowouts can have serious consequences when a vehicle is traveling at high speed. If you have been injured in a vehicle accident due to defective tires, you need to preserve as much evidence as possible in order to prove the cause of the accident. Acting quickly after an accident can ensure that important evidence is available when you need it. Don’t allow your vehicle or tires to be disposed of or destroyed under any circumstances. Without physical evidence from your accident, your case may be extremely difficult to prove. To receive the compensation you deserve, you need representation by an attorney experienced in handling product liability claims. To learn more, contact the product liability attorneys at the Morris James Personal Injury Group, by using the form on this page.